Spending time at the beach doing watersports or simply chilling with friends at a picnic means you will take in plenty of sun. For many of us, the sun is one of the things we love most about surfing or swimming or whatever sport each of us is into. But the sun is not safe in the absence of a good tanning lotion, so whenever you want to get out there on the cloudy weather surf board, you have to make sure you’ve got your sun armor on. There are many kinds of tanning lotions currently available, but not all of them do the same thing. Some tanning lotions are specifically formulated for outdoor use and some are for indoor use (for tanning beds). Furthermore, some tanning lotions are plain, with the sole purpose of protection, while others also contain substances for self-tanning, in varying degrees. There is also the sun protection factor to consider, which can also vary depending on the season, as well as your own skin’s makeup. Sounds pretty complicated, right? This is what our ultimate guide on the best tanning lotions of the year is for. We will walk you through everything you need to know about each kind of tanning lotion and what to pay attention to when buying one. Not a solar protection lotion, this tanning accelerator from Australian Gold is meant to make you get the deep tan color you desire on your skin faster. For the purpose of protecting your health, you should use a light sun protection lotion in addition to this accelerator tanning lotion. Basically, this dark tanning accelerator works like this: every time you go to the beach and expose your skin, you rub the lotion on and then let it work its magic. The lotion contains native oils, vitamins and is beautifully scented with a caramel popsicle perfume, so the experience will be a treat. In about two weeks of regular exposure, you will achieve a deeper golden tan color than you would have gotten without it. 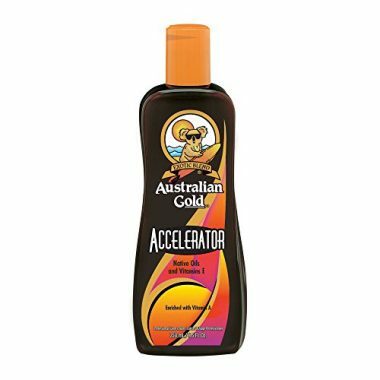 The Australian Gold accelerator is the top-rated tanning lotion among those who are fans of tanning both indoors and outdoors. If you prefer to speed things up with the occasional tanning bed session, you can rest assured that you don’t need another accelerator for it. Just make sure you also put on plenty of solar protection on top. 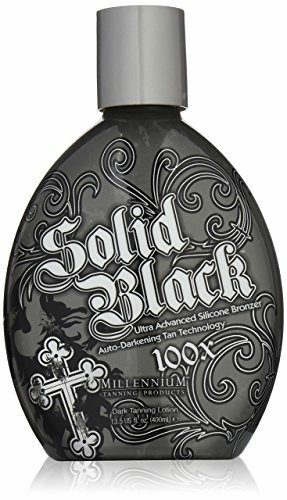 Another tanning lotions specifically formulated to help accelerate the indoor tanning process, this lotion from Millennium Tanning is designed for heavy duty. The tan color obtained as early as the first use is pretty dark, so you should go for it only if you’re looking for a deep tan. This dark suntan lotion has a dual action. First of all, it enhances the skin’s reaction to the tanning bed lights, but it also contains coloring agents of its own. It basically works as a two in one tanning accelerator and self-bronzer. The coloring ingredients are pretty concentrated, resulting in the appearance of immediate tan. This is why you should take care to apply the lotion very evenly in order to avoid streaks. Also, remember to shake it well before use, to allow the coloring particles to mix perfectly before applying the formula on your skin. 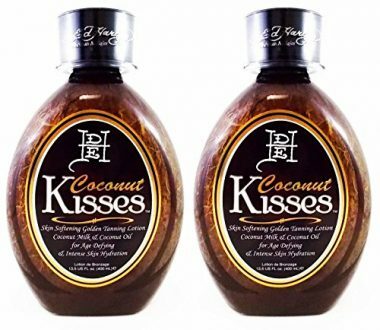 Tanning lotion reviews say this is the favorite choice of all those looking for dark tans. 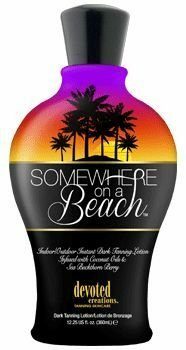 This is an all-purpose, low protection tanning lotion perfect for everyday use, when the sun isn’t too hot. Since the solar protection factor ensured by the formula is not that high, this sunscreen lotion is also perfect for spring and autumn seasons, or for cloudy weather. We know most of the passionate surfers don’t wait for summer to chase a swell. This lotion is the ideal casual protection for whenever you hit the beach at any offseason moment. You just need to slather some on and you’re ready to get on the surfboard. 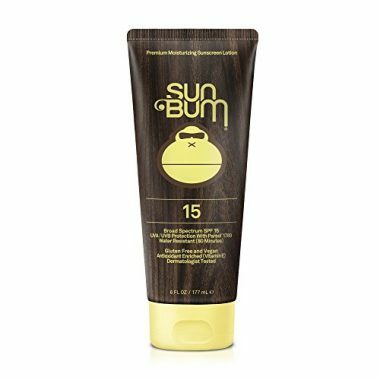 The Sum Bun moisturizing sunscreen lotion is formulated to be a good match even for sensitive skin, and it’s ok for both adults and children to use. Also, the fact that it’s moisturizing is an added bonus, since some sunscreens tend to be drying. If you have dry skin, you don’t have to fret about applying a moisturizing cream underneath and only then follow up with the sunscreen on top, this lotion does it all. 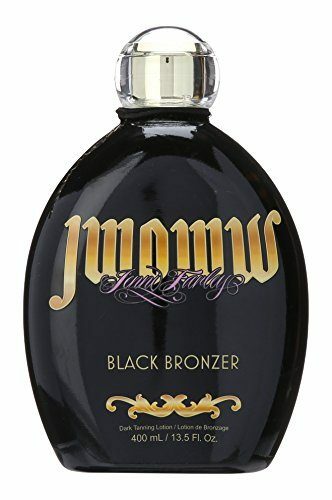 This tanning lotion is somewhere in the middle between a tanning intensifier (such as the accelerator presented above) and a bronzer (putting actual coloring on your skin). Technically it is better suited to dark skin shades, but plenty of customer reviews indicated good results for fair skin as well. The bronzer action is subtle enough to ensure a radiant and even result, streak-free. The initial application on your skin will only produce a barely visible effect, but the Somewhere on a Beach tanning lotion is buildable. Keep using some more every day until you are satisfied with the level of your tan. If you plan on getting exposed to some solar action (thus activating the accelerator formula inside the lotion), remember to also use protection. The layer of bronze does not carry any SPF. 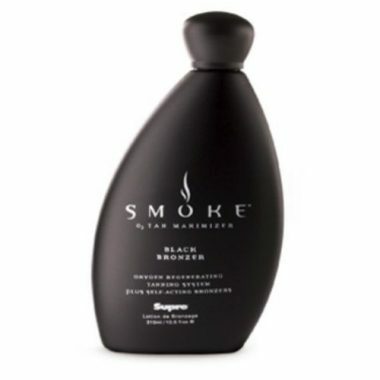 A perfect tanning lotion for darker skin tones, this is a unisex tanning accelerator meant to be used for indoor tanning. Its powerful melanin-stimulating ingredients are blended with the patented Oxygen Regenerating System formula. The latter complex of ingredients helps skin maintain its youthful appearance and even minimizes fine lines and wrinkles. You can buy this indoor tanning lotion in three fragrance options: pineapple, mango and passion fruit. The choice of flavors is not a coincidence, since the tan that you’ll obtain using this lotion will look positively tropical. The last on your list of the best tanning lotions is in no way the least valuable. Another popular lotion from the cult brand Australian Gold, this one works as a tanning accelerator for indoor tanning beds. It contains no bronzer particles and its formula is mostly based on natural exotic oils, like blackcurrant and kukui nut. Still, in addition to the oils, the lotion contains actual melanin which helps supplement you own skin’s natural melanin production. Basically, the more of it you have in your skin, the more it gets colored under the UV action. The tanning accelerator lotion is also enriched with vitamins and hemp seed extract to leave your skin perfectly hydrated and soft. By the time you leave the tanning bed, you will have a dark fascinating bronze and a radiant skin, perfect for turning heads and making an impression. 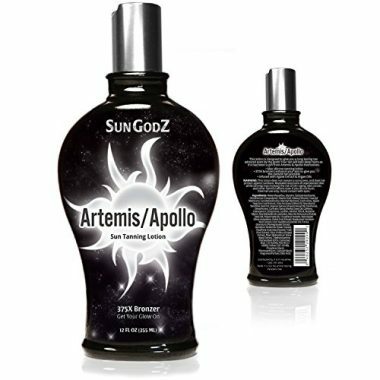 This unisex Sun Godz tanning lotion is meant for indoor tanning bed use. It will help accelerate your tanning process, activating the melanin potential in you skin as it gets exposed to UV rays. It is designed for achieving deep tan results, and it also doubles up as a medium bronzer. This means that you could see the color your skin takes on after the first use even if you don’t get exposed to any UVs. If you’re wary of self-bronzer because even the best tanning lotions can sometimes leave streaks, especially if you shower after exiting the tanning bed, you have nothing to worry about with this one. Its patented shower proof technology will prevent the bronzing particles from coming off in the shower. As a bonus, you will feel your skin silky smooth while showering. When you’re done, the bronze will remain intact. Another crowd favorite, this next lotion from Ed Hardy also works as a two in one tanning accelerator and self-bronzer. What makes it different from the Millennium Tanning lotion presented above is the fact that its color particles are much lighter and only provide you with a golden shimmer instead of a deep tan. Still, if you’re looking to tan yourself to darker shades, you can still use it and just spend more time in the sun (or in an indoor tanning bed), because the tanning accelerator ingredients are quite strong. Many tanning bed enthusiasts report that they achieved darker tans using this accelerator lotion. Another great thing about the formula is that it contains the BodyFit patented ingredients that deal with cellulite in addition to coloring the skin. It’s the best tanning lotion in our entire list for targeting skin firmness and elasticity problems. If you’re looking for an indoor tanning lotion which can also help you look more in shape, this is the best. A high-end bronzer lotion that makes you look amazing, with sun-kissed skin as deeply tanned as you want it to be. You can use it casually all summer to have an out of this world beautiful golden skin, or simply before important events, as a tan refresher. The formula in the bronzer is luxurious and infused with actual liquid gold, as well as omega 3 acids and hyaluronic acid, which are great moisturizers with an anti-ageing effect. As for the bronzing ingredients, besides the gold which helps give you those unique highlights, the formula is enriched with DHA and erythrulose, which help build up on the tan that already exists in your skin. Basically, the more you apply it, the more pronounced your golden tan will become. 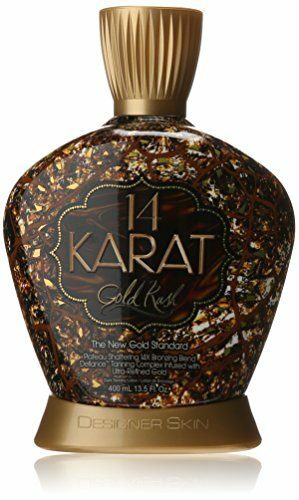 As an added bonus, this top-rated tanning lotion smells like gilded citrus, making each application a luxurious experience. However, if you’re looking for a dark suntan lotion that works as an accelerator when you bask in the sun, this one isn’t it. It doesn’t help you get tanned faster naturally, not does it provide any sun protection factor. A tanning accelerator, this bronzing lotion with a cute name from Swedish beauty is a customer favorite. The formula is based on a patented Eco-Trio blend of powerful ingredients which can boost the melanin activity in your skin, preparing it to get tanned. 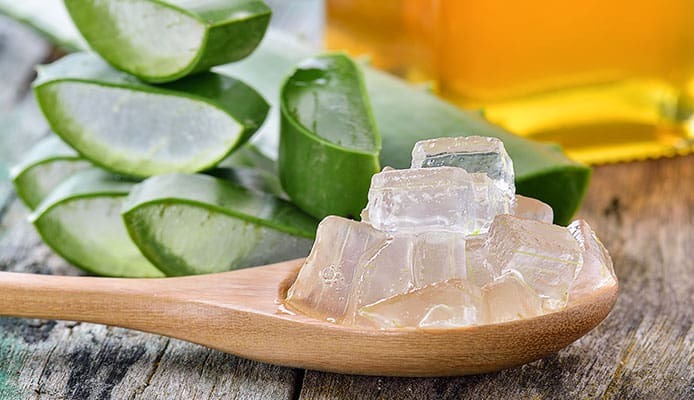 There is also aloe vera extract in the lotion, as well as vitamins A and E which play their part in protecting the skin from ageing. This isn’t a solar protection lotion, nor a bronzer, but a tanning accelerator which also helps protect the skin during the tanning process. It’s used mainly as a first step in the brand’s multi product approach to tanning. After using this intensely moisturizer and tanning accelerator lotion, you’re supposed to follow up either with a tanning bed session or with a self-bronzer lotion. As you were able to tell from our top of the best tanning lotions, there are many kinds of them to speak of. 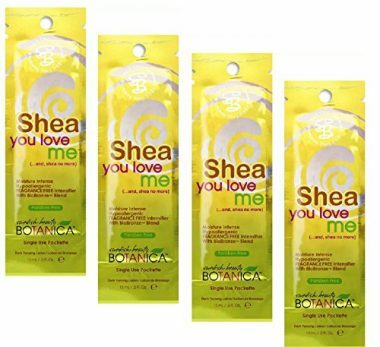 The top was of course based on our own preferences and on the product popularity from other tanning lotion reviews but deciding on the best one is ultimately up to each person. It all depends on what you are actually looking for. Do you want to use it on the beach or for indoor tanning? Do you want it to also offer your skin UV protection or are you planning to use a separate product for that? Are you a habitual tanning bed user and your skin feels rough, so the ideal product should also be intensely moisturizing? Do you also want your tanning lotion to contain actual color and act as a bronzer? If you’re not sure what your answer is to all of these, you’re not alone. Choosing the best self tanning lotion can be difficult. We will now walk you through every aspect you need to consider and hopefully at the end of our buying guide you will know for sure what’s the best tanning lotion for you. The first question you need to ask yourself is where you want to get tanned. 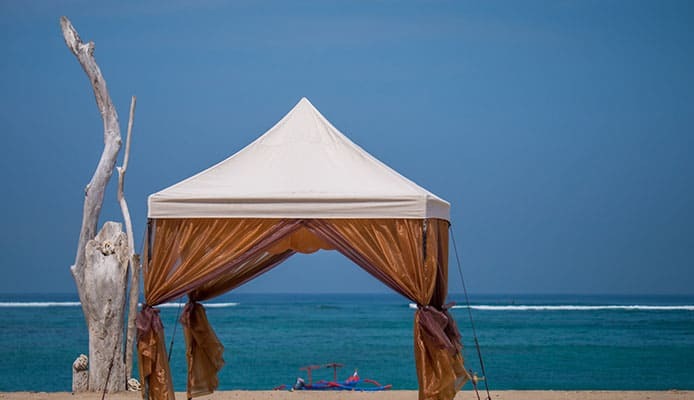 Is it outdoors, by the beach, or do you prefer the fast track of indoor tanning beds? If you prefer outdoors tanning, then you will obviously need an outdoors tanning lotion, plus a SPF solar protection lotion (also known as sunblock). The correct order of applying it is tanning lotion first, if the kind of tanning lotion you have works as an accelerator. Follow up with sunblock on top, with a 10-minute break between both applications, in order to give the tan accelerator enough time to get absorbed. If you prefer indoor tanning, then you need an indoor tanning lotion plus the sunblock. The order is similar: first the self tanner and then a little sunblock on top, to protect your skin from the ravaging effects of the tanning bed. The basics of making indoor tanning work together with sunblock will be explained below. The second question that you should think of is whether you prefer a bronzer instead of a tanning accelerator. Self-bronzer lotions are also marketed as tanning lotions, so the matter can understandably be a bit confusing. If you don’t need to have an actual tan, created by your skin from the inside out, and you’re satisfied with just the appearance of a tan, then a bronzer might be just what you need. You don’t need to worry about it looking fake; the best tanning lotions on the market have such advanced technology behind them that your bronze will look luminous and glowy. This might in fact be the healthier option, considering that getting a deep tan can also come with some health risks. One last thing to take into account is that many of the best tanning lotions contain both an accelerating formula and self-bronzer particles, so they will help you achieve a double tanned look. Also remember that regardless of whether you choose a tanning accelerator, a bronzer or a hybrid of the two, you also need a bit of sunblock (SPF 15 at a minimum, more if you’re fair-skinned). For indoor tanning, the lotions you can find are meant to accelerate the tanning process. The beauty center that offer time on the tanning bed usually also offer a selection of tanning lotions, but for best results it’s recommended to buy your own lotion. This way you can control the exact ingredients and desired bonuses (anti-ageing, slimming and so on), depending on your needs. Some indoor tanning lotions also double up as bronzers, meant to accentuate or highlight the natural tan you will achieve. As long as you buy a quality self tanner, this is a more than welcome feature. It won’t stain your clothes or leave streaks on your skin but will just act like a light make-up that highlights your body all over. Finally, some of the indoor tanning lotions differ by the level of color. Some are labeled as dark and some are labeled as light or fair. This refers to your natural skin tone, but also to the level of tan that you’d like to achieve. Our advice in this case is to not aim for any drastic changes, especially if you are very light-toned and would like to become deeply tanned. If you start using a dark self tanner right away, the contrast between your natural skin color and the lotion might become obvious is some spots. Start with a light tanning lotion and move on to a darker one as your skin tone darkens up, gradually. What about tingle tanning lotions? You may have heard the term but don’t know exactly what they are or how they work. Let us help clarify that. A tingle self tanner is a special type of formula that makes you feel a tingle on your skin when you apply it. This is because of the active ingredients that help jump-start the skin’s microcirculation, allowing the rest of the ingredients to travel better and get absorbed faster in your skin’s layers. This microcirculation boost will also help when you actually start tanning, because the melanin production is also boosted in the process. There are several brands of indoor tanning lotions that offer tingle lotions, and all of them enjoy relatively positive customer reviews. If you’re tempted to try a tingle tanning lotion for the first time, this is what you should prepare for. First of all, you can expect the tingling sensation to be significant. Don’t be alarmed if you also experience a warming and reddening effect on the area of the skin that you applied the tingle lotion on. It will pass without any lasting irritation; the effect is only temporary. Some anti-cellulitis lotions on the market actually have a similar effect so you might be familiar with it from them. Second of all, remember to go into the tanning bed (or lie on a beach towel, if you prefer outdoor tanning) as soon as you’ve put the lotion on. The tingle effect won’t last beyond around 40 minutes, and it would be a shame not to make the most of it. Last, but not least, remember to wash your hands really well after putting the tingle self tanner on your body. The active substances in the formula can sting quite a bit if you accidentally rub sensitive areas like your eyes or your nose. Better stay safe and wash your hands thoroughly as soon as you’re done applying it. Bronzer lotions are the ones which contain tiny colored particles meant to give a tan-like color to your skin without needing to go through the organic tanning process (without forcing your skin to produce melanin). You can think of them as make-up for your skin, but they can go much deeper than make-up, achieving a gradual and permanent effect, much like real tan. The first type is the best replacement for ‘real’ tanning, and a much healthier alternative. These formulas are usually based on natural ingredients that can help skin change its color organically, so they don’t act like a simple make-up layer that will wash off the first time you shower. Such ingredients are beta-carotene and cane sugar compounds, for example. The second type resembles make-up more than anything else, because it will wash off easily and is only meant to give your skin a temporary glow. If you’ve ever used a highlighter you will know what we’re talking about. You can think of these bronzer lotions as a liquid subtle highlighter that you can use all over your body in order to cast your underlying tan in an even more favorable light. The third type of bronzer is a hybrid formula that mixes a tanning accelerator with some bronzer particles to give you a taste of instant color, beyond the natural tan color that you will achieve in time. When planning to tan, you should also consider your skin type. This is very important because lighter skin is more vulnerable to the negative effects of UV rays (namely, aging and the risk of skin cancer). So, the fairer you are, the higher the amount of sun protection that you will need. Also, if you have a more sensitive skin type (lighter colored), you also need to adjust the levels of UV rays that you take it. Limit exposure time if choosing outdoor tanning, and also be careful to avoid the times of the day when the sun is stronger. If opting for indoor tanning, it might be even easier to adjust the level of UV rays that gets in your skin. The personnel of the tanning salon should be able to assist you to choose the ideal settings for your skin type. Type VI: never tans and never burns (deeply rich dark brown skin with dark eyes and hair). Basically, if you belong to type I or II, you need a solar protection factor of 30 to 50 every time you get exposed to the sun rays or indoor UV, even if you plan on tanning. If you’re having trouble tanning as a type I, even if you’re using indoor tanning beds, perhaps a self tanner would be a better choice for you. If you’re a type III, a solar protection factor of 30 is enough if you’re trying to tan. For type IV, anything between SPF 20 and SPF 30 should do, and the types V and VI only need a sunblock of about 15 SPF, but still need it no matter how resistant they think they are. Also keep in mind that regardless of your skin phenotype, you will need slightly more SPF on your face than on the rest of your body, so adjust the facial sunblock and the body sunblock accordingly. Tanning outdoors may take more time compared to using indoor tanning beds, but it’s definitely a more natural and safe option. To get a tan the good old-fashioned way, all you need is a beach blanket, a bit of patience and the best self tanning lotion for your skin. Before you leave the house to get to the place where you plan to do your sunbathing, apply your tanning lotion. This should be based on a tanning accelerator formula. Then, also follow up with a top layer of solar protection factor, based on your skin type for tanning (see above). Wait 10 minutes between the applications. You are then ready to face the sun and lie down on the blanket. Remember to shift positions often so that you tan evenly. Bask in the sun for about 10 minutes on one side of your body and then switch. Take a long break once you’ve reached an hour spent in the sun, and return later in the day, to catch some of the sun’s last rays, or skip it to the next day entirely. Also remember to use an intensely moisturizing skin lotion or cream after you shower at the end of the day. The tanning process – whether it’s outdoors or indoors – can dehydrate the skin a lot, so you will need to replenish it. Q: What is an indoor tanning lotion? What makes it different than sunblock? 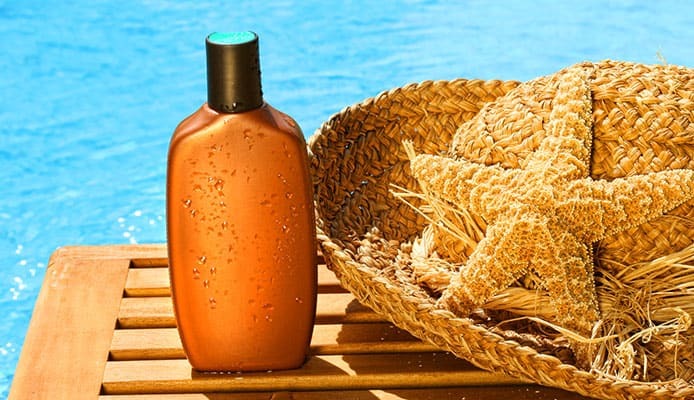 A: An indoor tanning lotion and a sunblock lotion are radically different products. They don’t have any overlap whatsoever in what they do for you. An indoor tanning lotion does not contain any kind of solar protection and simply focuses on accelerating your tanning process when your skin gets exposed to the UV in the tanning bed panels. As a complete opposite, a sunblock lotion focuses only on protecting your skin from sun rays and does not aim to accelerate your bronze. People who use sunblock are very conscious about their health or are at a risk for skin cancer because of their fair complexion or a large number of moles on their skin. They don’t want to invite UV rays into their skin on a deeper level, and that is exactly what an indoor tanning lotion does. Of course, some indoor tanning lotions also contain bronzer particles that act like make-up for your skin, giving it an extra bronze coloring on the outside. There are also some hybrid sunblock lotions that also contain bronzing particles, to help people who are wary of tanning achieve a tan-like appearance. In this respect, an indoor tanning lotion and a self-bronzing sunblock can be similar, but at their core they are still very different. Q: Why bother with an indoor tanning lotion? A: Tanning beds aren’t the healthiest invention of humankind, so it’s a good idea to limit their use. They do get the job done fast if you’re looking for an almost instantaneous tan, but it all comes with a health risk. Therefore, to help minimize this risk, and to also save time, a good tanning accelerator is needed. Basically, what a tanning accelerator does is help your skin react better and faster to the UV rays in the tanning bed (and even the natural UV rays that you can get outside). The skin defends itself from the powerful impact of these rays by producing melanin, which also gives it a darker color. The more melanin your skin has, the darker it will look. A tanning accelerator will contain melanin-boosting ingredients which will make your skin react to the UV rays faster and therefore tan faster. If you go into a tanning bed without using an indoor tanning lotion first, the effects will be less visible, compared to what they would have been if you had used one. This means you will need to repeat multiple indoor tanning sessions in order to achieve the same result. This is a bad idea because, as mentioned above, using tanning beds too much is a health risk (more about in the Sources section below). Furthermore, a good indoor tanning lotion also comes with extra boosts for your skin. It could be anything from good anti-ageing ingredients, or an anti-cellulitis formula, or a bit of bronzer mixed in to give your tan extra color or golden highlights. All in all, if you’re going to use a tanning bed, there’s no point going in without an indoor tanning lotion. Regardless of whether you prefer indoor tanning or outdoor tanning, remember to be responsible and also use a layer of sunblock. This may mean that your natural tan will come a bit slower, but it will be safer for your health. Also, many the best tanning lotions, such as the ones we presented in our list above, come with some self-bronzing particles that will help your skin look tanned faster. The self-bronzing helps achieve faster results even if the sunblock you’re using is slowing down the natural tan process. So, your looks will be the same, but your health will be at less of a risk if you also use something with solar protection factor regularly. Stay out of the sun at noon when it’s the most powerful and wear a stylish beach hat whenever you can. Remember that a sunblock should be used even when you’re not basking in the sun per se but doing other outdoor summertime activities like riding your bike or catching a nice wave. If you like using tanning beds, you should also resist the temptation to go in without any kind of sunblock whatsoever. We know you want fast results, but with the help of a good indoor tanning lotion you’ll achieve a beautiful tan even if you also protect your skin a little with at least a SPF 15 sunblock. Whatever your preferences, a beautiful tan is within reach with the right products. We hope that our buying guide for the best tanning lotions will help you find your ideal helper. Have fun and stay safe! What kind of lotion do you use at the beach? Do you stick to sun protection only or do you prefer something that also accelerates the tanning process? How about a self-tanning lotion, did you ever experiment with those? Give us your thoughts in the comment section below and share your experience with the Globo Surf community.